By the end of January 1945 the Allies had fought their way back to the positions they occupied before the Battle of the Bulge. Six weeks of fighting in the worst winter many had ever seen where the weather was as much of an enemy as the Germans. The 30th Division assembled near Liernieux, just west of St. Vith, Belgium, where they had been sent to recover from both the cold and the battle casualties. Rumors abounded about what would come next. Would they tackle the Sigfried Line again? Or was something else in store? After months of fighting the 30th had become a well-oiled fighting machine. Experienced officers and non-coms knew how to plan an attack and how to carry it out. With replacements coming up they knew how to train and quickly assimilate them in with the more experienced soldiers. So it was no surprise when they were reassigned to the Ninth Army and trucked north to take part in clearing out the section of the Rhine valley facing the industrial center in the Ruhr valley. Returning to the Aachen area and the flat lands of the Cologne plain, Old Hickory received a tough assignment – a treacherous stretch of the Roer River between Julich and Duren, due west from Cologne. 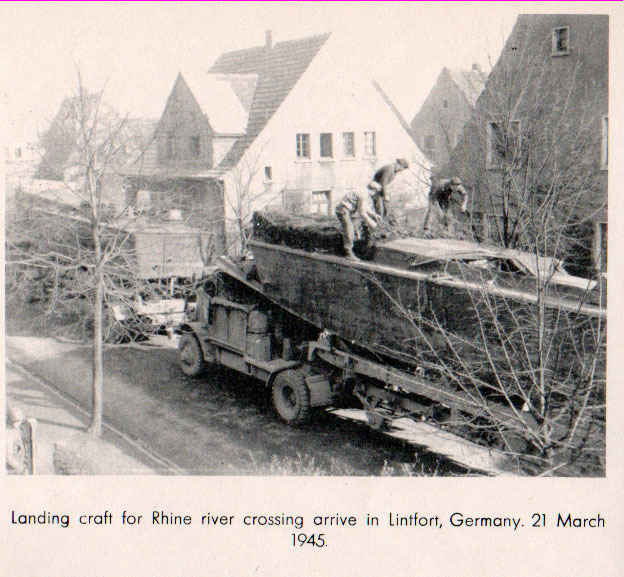 The Germans flooded the river by blowing up the control sluices on one of the dams upstream so the Roer crossing, originally planned for February 10, was delayed. Knee deep water covered the lowlands on either bank of the Roer. Like the previous fall when Old Hickory sat facing the Sigfreid Line for two weeks, now they faced the Roer waiting for it to subside. They again used the time for training the men, for reconnaissance and planning. But this time the attack would be across a river rather than against the pillboxes of the Siegfried line. When they left the Ardennes, the 30th Division along with the entire Ninth Army traveled in secret. They removed shoulder patches and vehicular markings. They assigned code names to roads and telephone exchanges. All to keep the Germans from knowing the Allies exact plans. Although Axis Sally spoke of the 30th returning to the Aachen area, the tactic worked. For once the Germans lost track of Old Hickory. Waiting for the river to subside didn’t mean the division was without casualties. German artillery pounded the western bank and the Luffwaffe flew regular missions including the first sightings by 30th Division men of German jet-propelled aircraft. 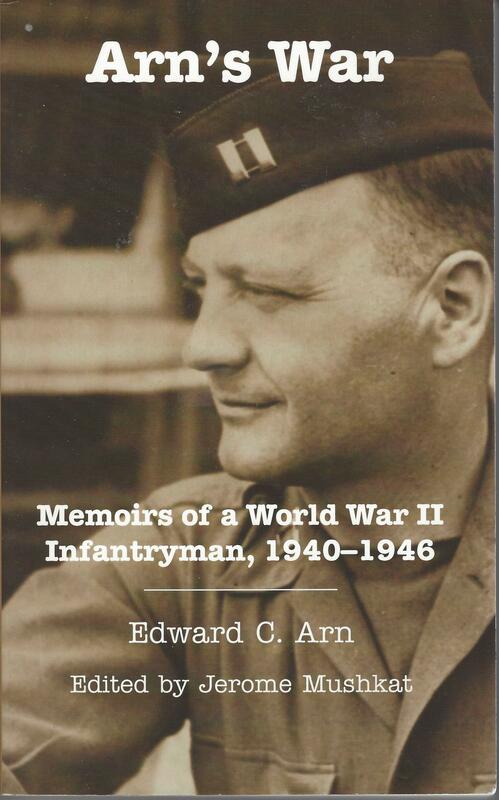 Edward C. Arn, in his memoir “Arn’s War,” tells of being wounded by artillery fire while reconnoitering one of his platoon’s positions near the Roer. 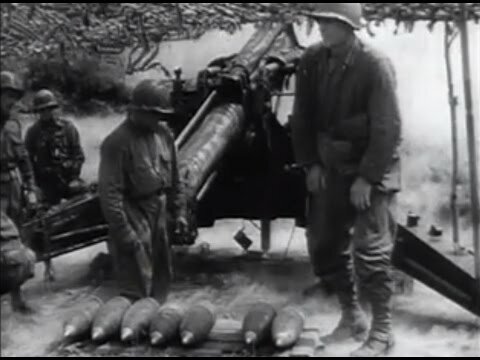 Before the 30th finally crossed the Roer on February 23, 1945, the biggest artillery barrage in Europe up to that date pounded the Germans on the Eastern shore. 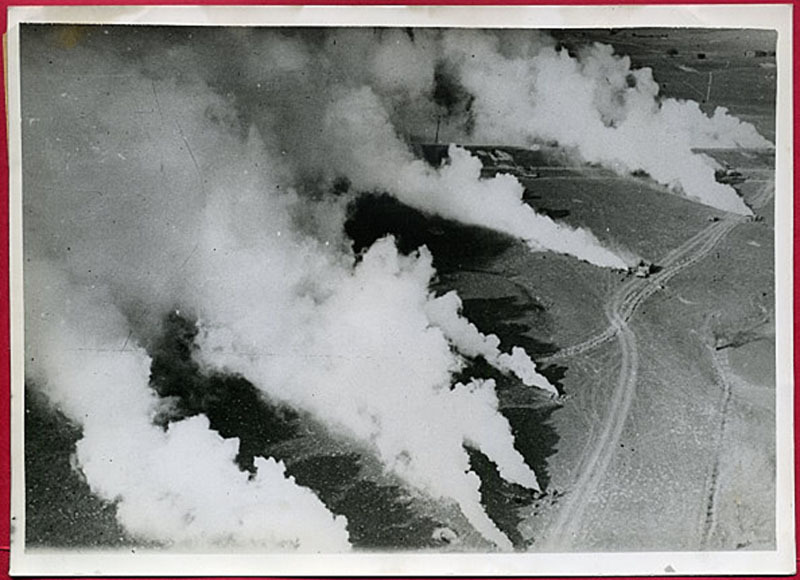 The 30th’s assigned 8,000 yards of front received fire from the Division Artillery, plus three 18-piece battalions of 2nd Armored Division’s self-propelled artillery, the 823rd Tank Destroyer’s 36 guns and guns from Corp and Army battalions totaling 246 guns firing. Wow! 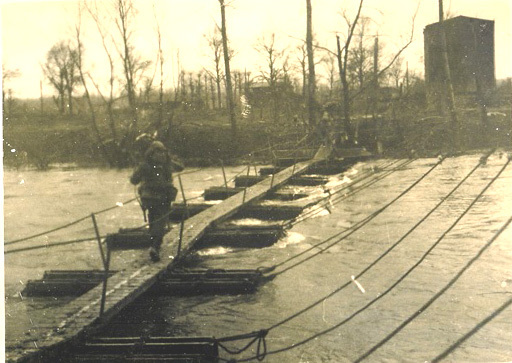 While part of the 234th Engineer Combat Battalion ferried men across in Alligators, armored amphibious vehicles, and in assault boats, other engineers struggled to build a footbridge across the Roer, all under the cover of a smoke screen provided by the 82nd Smoke Generator Company. On the far shore the 30th faced little resistance, thanks to the artillery, and quickly accomplished their assigned tasks. Meanwhile the intrepid engineers completed a treadway bridge in just twenty-one and a half hours allowing tanks and trucks to cross the river. 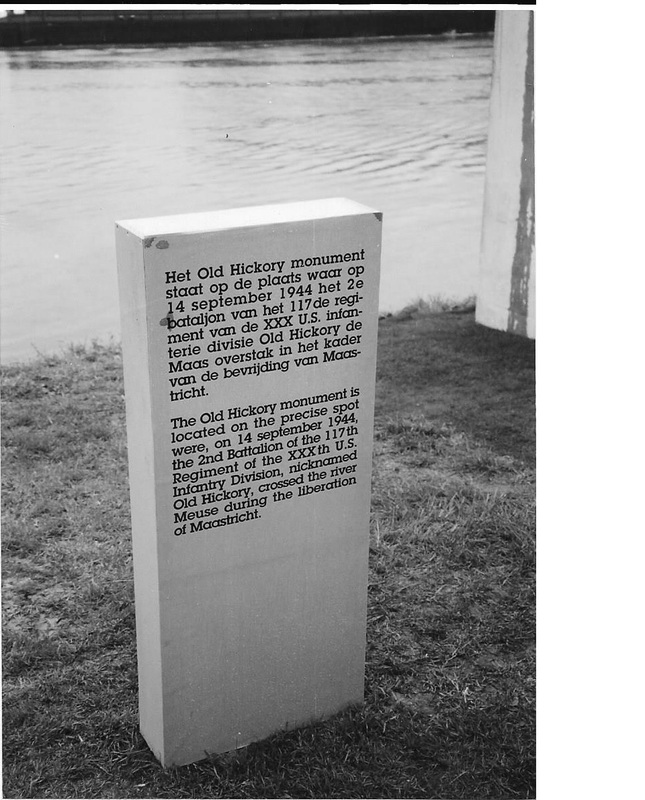 In the next few days Old Hickory took town after town as they moved ever closer to the greatest obstacle between the Allies and the heart of Germany – the Rhine River. 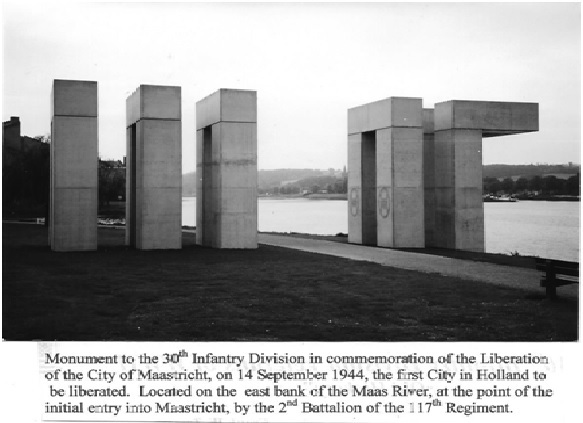 On March 6, 1945, the 30th Division returned to Maas, Netherlands, to prepare for their next assignment – spearheading the Ninth Army’s attack across the Rhine. Again preparation made all the difference. 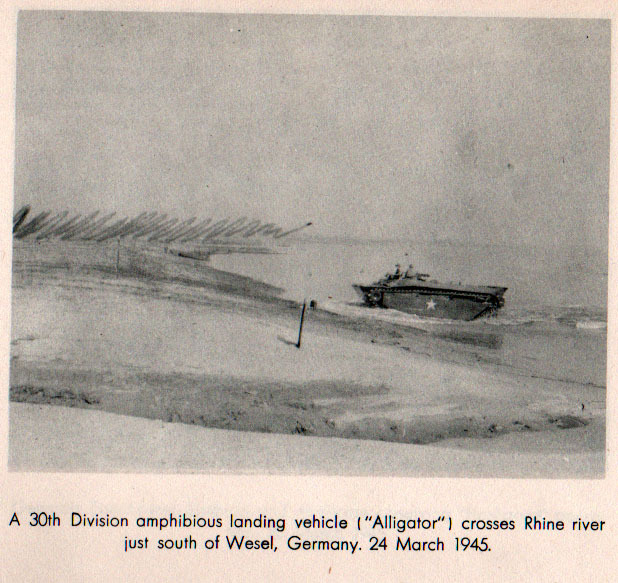 It was March 24, 1944, when all three regiments of the 30th crossed the great river at the same time along a five mile stretch from south of Wesel to Mehrum. Naval assault boats ferried, tanks, tank destroyers and infantry men continuously across the great river. That’s right – the U.S. Navy hauled boats inland for this vital operation. 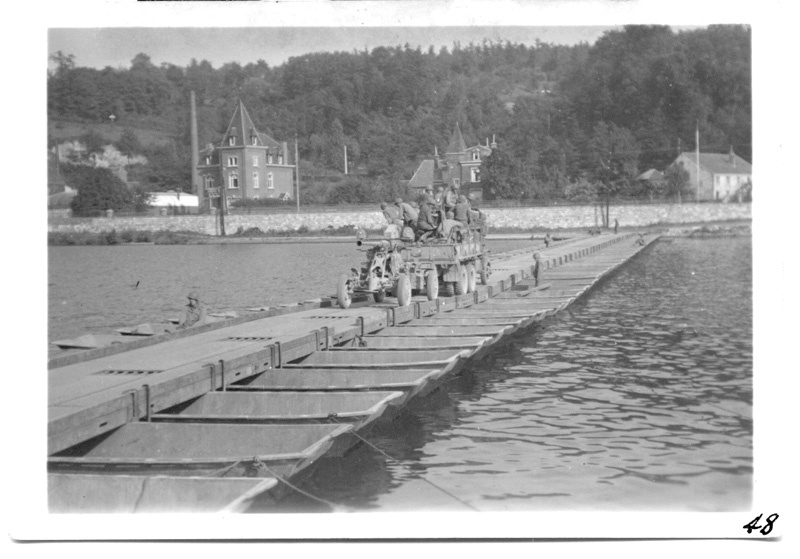 Engineers constructed a pontoon bridge for the tanks and other vehicles in record time again under cover of a smoke screen. The 117th history says the First Battalion of that regiment went first with the Third Battalion carrying the stormboats to the river’s edge so the assault troops would be fresh. It was 2:00 AM on March 24th. With little resistance by midnight the 117th had reached their assigned positions and moved on toward the next town. For the first few hours after the crossing Old Hickory encountered only light German resistance. Then the 116th Panzer Division moved into their path. One of only two German mobile divisions available, the 116th focused on holding back the 30th while the 15th Panzer Grenadier Division spread out facing the British and Canadians further north. The enemy’s backhanded compliment to the 30th Division wasn’t appreciated by the men on the line. The 30th doggedly fought their way eastward against armor and anti-aircraft guns lowered to fire at ground troops. After days of continuous fighting fatigue added to the stubborn enemy resistance to slow down Old Hickory. 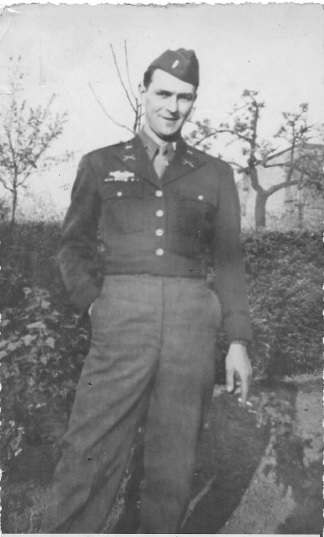 Plans for the 8th Armored Division to pass through the 30th and take on the fight called for the 30th to advance far enough to allow the armor to take over in open country. Old Hickory’s boys fought on taking Gahlen in street fighting against determined resistance. 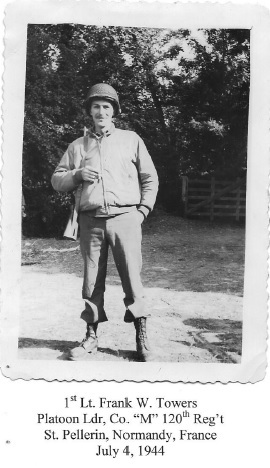 Finally on the morning of March 28, 1945, the 8th Armored Division came forward and took over the fight. Nearly 100 hours after their assault across the Rhine, Old Hickory finally got some much needed rest. 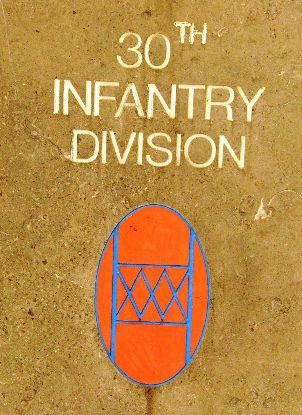 The 30th Division wasn’t through fighting. It would be over a month before Germany finally surrendered. Even at this late date, more would die before the war was over. During the months of December 1944 and January 1945, an enormous battle raged in Europe – the well-known German offensive called the Battle of the Bulge. On December 16, 1944, with the Allies believing that the Germans were beat and the war would soon be over, Hitler’s massed armies attacked through the thinly defended Ardennes. 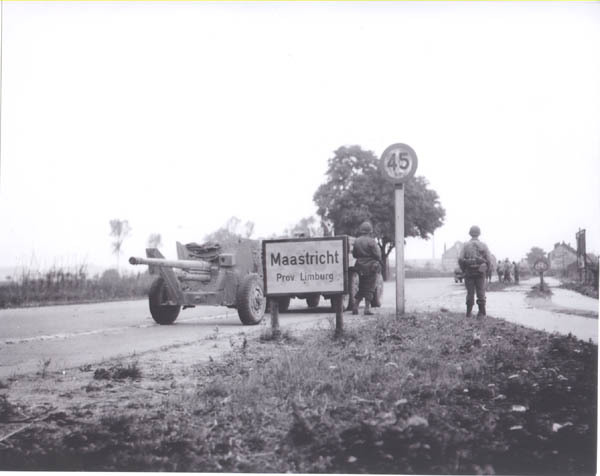 The attack caught the Americans manning the eighty-mile stretch of border between Belgium and Germany by surprise. The Germans smashed through the American lines and pushed deep into Belgium and Luxemburg creating a “bulge” in the lines, thus the name given to the battle. When the Battle of the Bulge is mentioned, many people think of the battle for Bastogne where the Germans had the 101st Airborne surrounded. But the battle was much bigger than that. It involved many divisions across a wide front. On the northern portion of the bulge the 30th Infantry Division stopped the German advance blocking a critical path to Liege and Antwerp. 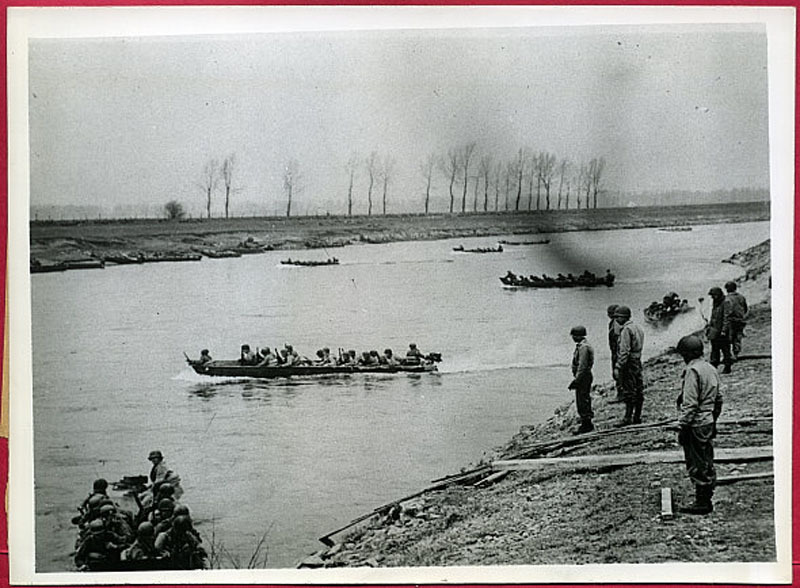 After Aachen, the 30th Division came off the line and moved back to Holland for a much-needed rest. Then the Germans attacked on December 16th. When the Allied command realized that they were facing a major offensive, the 30th was called back into action. Loaded on trucks the 30th’s three combat regiments reached the front in Belgium on December 18th. The 117th Regiment encountered the enemy first near Stoumont in route to their assignment of Stavelot. The 120th proceeded to Malmedy while the 119th took up positions near Spa, where First Army Headquarters was being hastily dismantled and moved to the rear. Spa, Malmedy and Stavelot form a rough triangle of roads suitable for an armored force to use in a winter offensive. Stoumont lies further west along the road running through Malmedy and Stavelot. Von Rundstedt planned to use these roads for the main German thrust to Liege where the Allies had huge stores of fuel, ammo and essential supplies. Thus the Germans would split the Allied forces and push on to recapture the port of Antwerp. 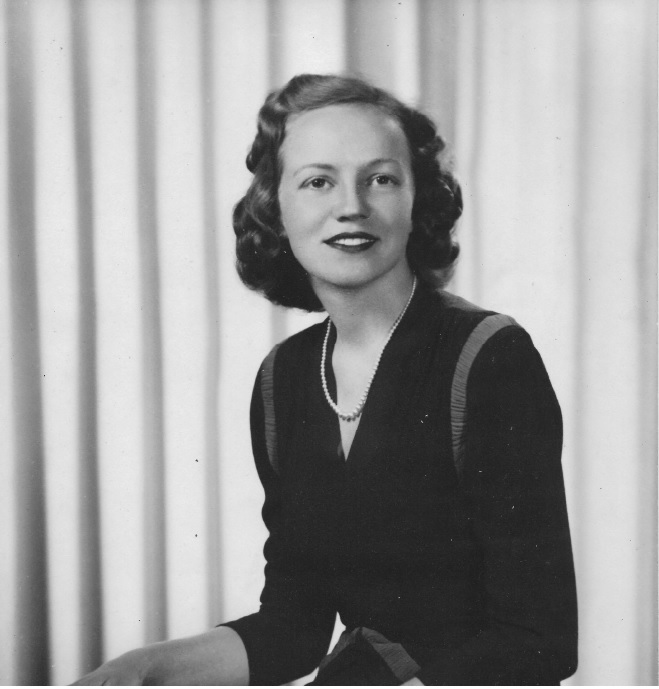 During their drive to the front lines, the men of Old Hickory first heard Axis Sally call them the “fanatical 30th Division, Roosevelt’s SS troops.” She also told them they would once again face the 1st SS Panzer Division spearheaded by Lt. 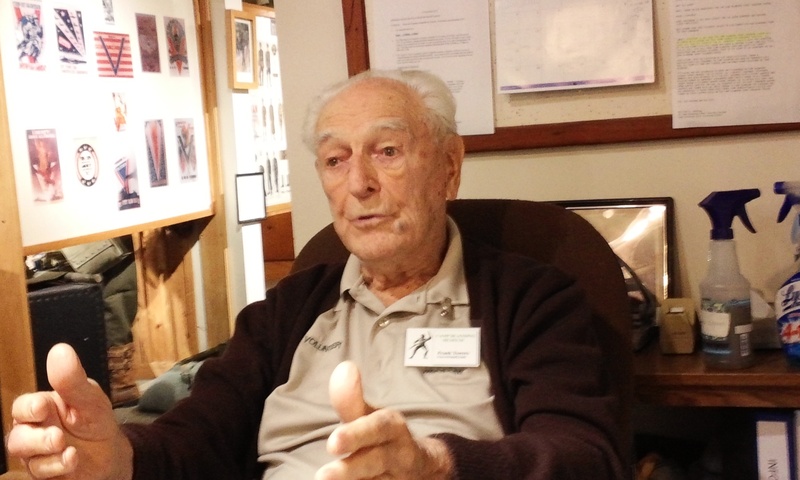 Colonel Joachim Peiper. This was the same division they had stopped at Mortain months before. Knowing roads were essential to the German tanks and trucks in the hilly, forested area, the 30th focused on blocking roads and destroying bridges across the many streams. The 291st Engineers blew up several key bridges early in the offensive essentially stopping Peiper’s advance. Two huge fuel dumps, one close to Stavelot and the other between Stoumont and Spa, could have provided the Germans with much-needed gasoline if captured. While the 30th fought to halt the German advance, supply units began moving the gasoline back out of danger. When elements of Peiper’s force neared the fuel dump near Stavelot, portions of the fuel were set ablaze to prevent their capture. From December 18th through Christmas eve intense fighting ensued throughout the area assigned to the 30th. 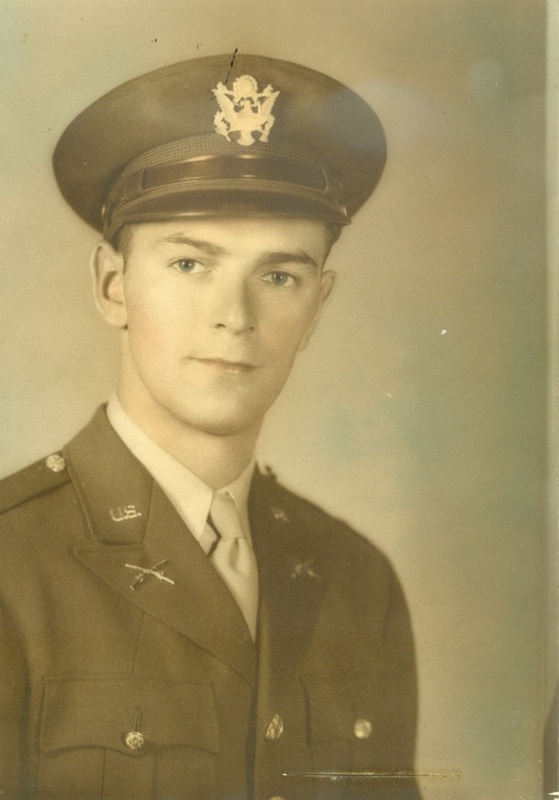 They fought bravely with Congressional Medals of Honor earned by Sgt. Frances S. Currey and Staff Sgt. Paul L. Bolden, both of the 120th Regiment. A Presidential Citation was awarded to the 119th Regiment and the attached Company C 740th Tank Battalion and 2nd Platoon Company A 823rd Tank Destroyer Battalion for their battle with the 1st SS at Lorce-Chevron and Stoumont, Belgium. Despite heavy losses on both sides, the Americans stopped the German advance. The strong resistance along the German’s preferred route to Liege and its supply depots forces Von Rundstedt to shift his focus further south toward the area around Bastogne where resistance was less – except for the stubborn 101st. The unmovable “Old Hickory” Division had blocked their path once again. Reading accounts of the 30th’s action in those early days of the battle brought to mind scenes from the movie “The Battle of the Bulge” starring Henry Fonda. Although much of the movie is fictional and lacks historical accuracy, it is clear that the action portrayed is mainly in the 30th’s area, including the fuel dumps, the Malmedy massacre, and the intense fighting to block the roadways. The movie might have been better if the makers had included more of the real events. They avoided topics like the Army Air Force bombing our own troops in Malmedy, several times, because the communications was so bad. Another dramatic episode revolved around Americans captured by the Germans, including a major who gathered intelligence before escaping. Some of these prisoners were released when Peiper’s men abandoned their tanks and vehicles. Another dramatic episode would have been the tale of the 740th tank battalion with no tanks who raided a repair depot for anything that would run, taking a hodgepodge of equipment to valiantly fight the enemy. The end of “The Battle of the Bulge” movie implies that the battle was over when the Germans retreated. This was far from the truth. 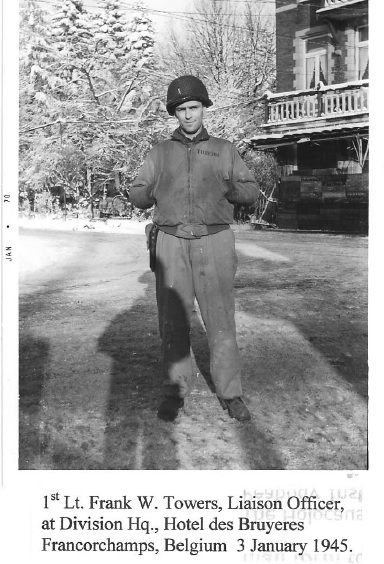 Veterans of the Battle of the Bulge say that the fighting after Christmas and into January to recapture the ground lost was rougher and the weather worse than those first days stopping the German advance. I’ve never understood why Hollywood hasn’t made a movie about the 30th. Either the fighting around Mortain or the action in the Malmedy-Stavelot-Stoumont area of Belgium would have made great movies. Old Hickory played a key role in halting the last great German offensive. Many months of bitter fighting remained before the final surrender in May. The battle hardened troops of the 30th division would go on to take the fight onto German soil once again. Many proudly repeated the nickname given to them by their enemy – “Roosevelt’s SS.” Knowing that the most elite German forces were the SS, it was the highest compliment the enemy could give.